You can buy just about anything these days with built-in wireless connectivity and voice assistant controls, but you also don’t have to upgrade your old gear in order to control it with the voice assistant of your choice. 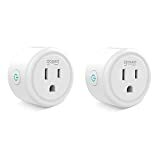 Amazon is running a killer one-day sale on Gosund Mini Smart Plugs, which are compatible with Alexa, Google Assistant, IFTTT, and more — all without the need for a smart home hub. 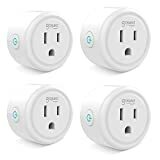 Just plug one of these puppies into the wall and connect your fan, lamp, or anything else to it, and you can control it with an app, your voice, or just about anything else thanks to IFTTT. Amazon has four different bundles available today on sale, and the per-unit price drops as low as $5.95 if you snag a 4-pack! 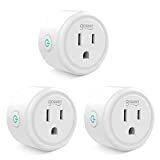 Easy to Install and Safe: Just plug a device into the wifi outlet and connect to your Wi-Fi network with APP “Smart Life”. ETL listed, FCC, RoHS, reach Approval. 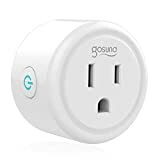 Gosund smart plug is backed by 90 day unconditional full refund guarantee and 12-Month limited warranty.